** Previous Post Updated ** The Lemon Meringue Pie I had posted earlier in November has now won FIRST PLACE in the National Beekman Heirloom Recipe Contest. Yeah Shirley! Here is the post in case you missed it so you too can make award winning pie! It is snowy and very cold here. The windchill was so low that we stayed in most of the day. Perfect time to try and make baked donuts! I had been eyeing a donut pan for a while, but the King Arthur recipe required that plus a few other special ingredients I don’t own. This recipe is all common ingredients that most of us have in our pantry AND doesn’t require a donut pan! Though the heart-shaped donut pan at Target was awfully tempting and cute. You can have your own donuts in as little as 2 hours. 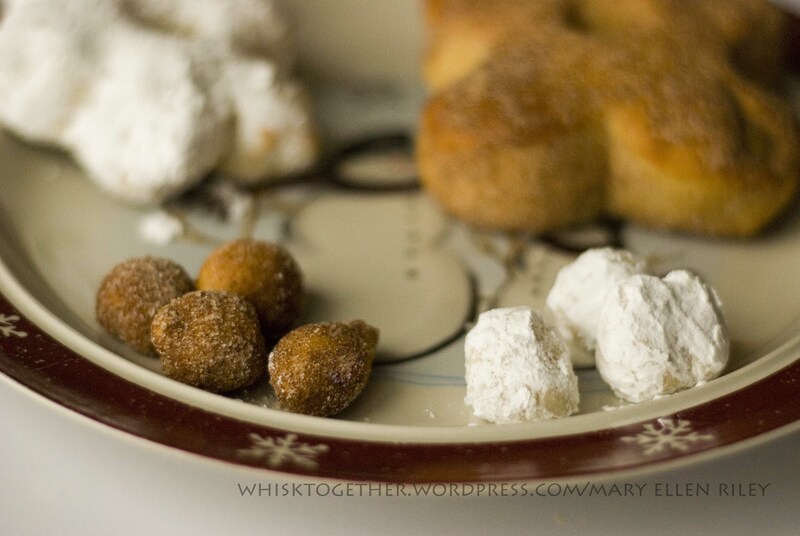 This is simply a sweet yeast dough recipe and you can add any topping you like. My favorite was powdered sugar. But you can add cinnamon sugar, chocolate or white frosting, etc. To get milk or water warm enough for yeast I think most people go by touch. If you happen to have a fever gun like the Fever Watch I have, you can change it from “body temp” to “surface temp” and use it to take the temperature of your milk. Cool beans! I also read after messing up a couple times in previous bread recipes that if you forget the salt, don’t worry especially if it is a sweet bread. Simply knead it in when you remember (hopefully before the final rise!) and you can still recover your bread. I successfully made this dough in the bread maker!!! I was pressed for time and the ingredients are cheap, so I figured why not try this in the bread machine? I worked!! I added my wet ingredients, then dumped 3 and 1/2 cups flour in a heap. Then, stick your finger in the hill of flour to pour in the yeast. Hit “dough cycle” and DONE. I also made these the night before and did not do the 30 minute rise towards the end. Instead, they sat in the fridge covered overnight and I baked them right from the fridge. Worked like a charm. So, you don’t need to make the dough the morning of. These donuts can be made with half AP flour and half white whole wheat. Feel free to divide it up as much as you like. I also added 1 Tb. vital wheat gluten to the dough mix with the white whole wheat flour. Also, this makes about a dozen donuts – too many for our family of 4. So to keep us from eating them ALL in one day (note to self! ), I froze them in the freezer. Yes, already coated in sugar, cinnamon, etc. The next morning, just pop your donut into the microwave for 30 seconds. You will need to add more time if you have more donuts to heat up. But 30 seconds was perfect for our standard size circle donut. 1. (See alternative above**) With the paddle attachment on the mixer, at medium speed mix the egg and sugar together until combined. 2. Add the milk, yeast, salt and vanilla. 3. On low speed, add 2 cups of flour and mix. 4. Change to your dough hook. Mix and add the stick of butter in little by little. Make sure it is incorporated. 6. Now cover your bowl and let it rise for 1 hour. I try to find the warmest place in my house for this part. 7. Punch the dough down and roll into 1/2 ” or so. The thickness is up to you and what you want to do with your doughnuts. For traditional circle hole doughnuts, use a 3″ cookie cutter (or biscuit cutter) and then cut out another 1″ hole in the middle. I don’t own a 1″ hole cutter, but my melon baller worked just fine. Pull the dough apart and make the hole a little bigger or the donut will close in on itself. Feel free to use cookie cutters, etc. Have fun. The donut holes are good too so don’t throw those away! We used snowflakes, circles and gingerbread man cutters. 8. 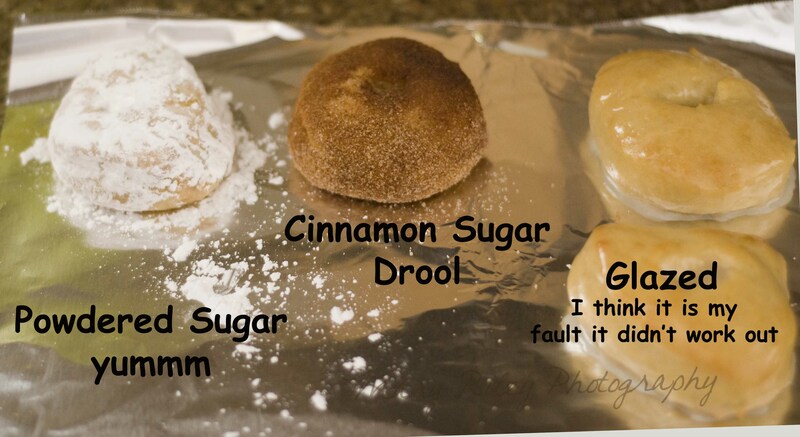 Put your doughnuts on a greased or lined cookie sheet. (See alternative above**) Allow to rise again 25-30 minutes covered. 9. Preheat oven to 400 degrees. Bake normal 3″ donuts for about 8 -10 minutes. The donut holes took about 5-6 minutes. My huge donuts took about 10 minutes. Just watch and when they are light golden brown they are done. They’ll be mostly golden – they don’t need to be completely brown because the bottoms of mine were medium brown while the tops were light to medium golden. 10. These cool really fast. Put them on the cooling rack and begin your toppings. 11. To coat the donuts, brush or dip into melted butter. Shake or toss in your coating. Or frost or dip in glaze. Alton Brown has a few donut glaze recipes here and here. 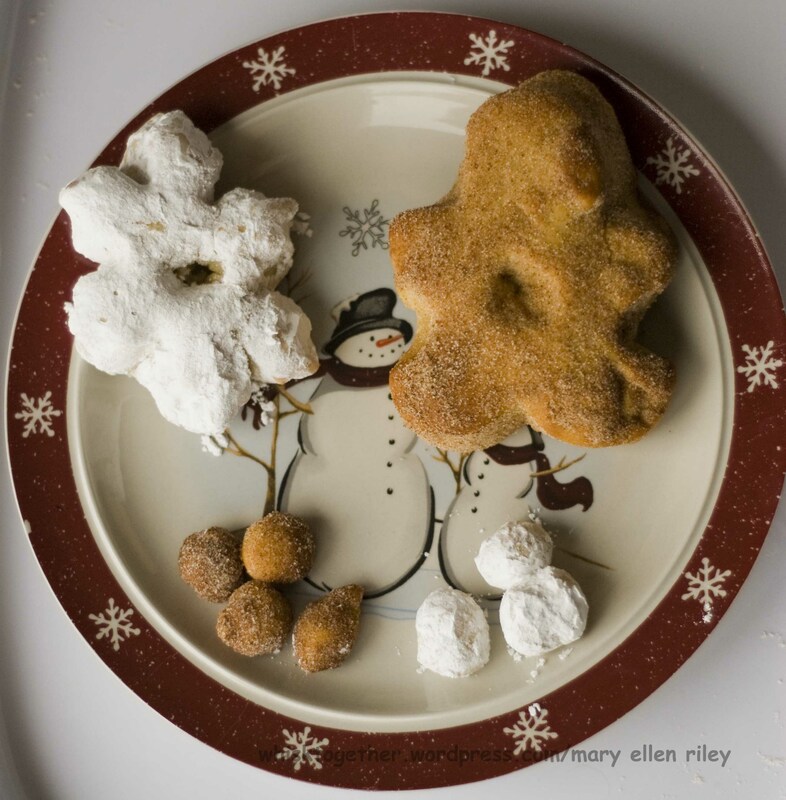 or use frosting or a powdered sugar/milk glaze or anything you like! I just got a donut baking tray and tried the recipe on the tray. yuck! Will try these!! Looks yummy! Awww, that stinks. 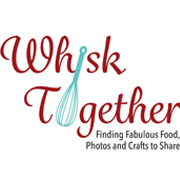 I feel your pain – I hate it when recipes especially those on the product that should be thoroughly tested don’t work out and you waste those ingredients. These are a yeast dough because I don’t really care for cake donuts, but there are cake donut recipes out there, too. I have not tried them in a donut tray, but they probably will hold their shape better perhaps. I know the hearts I cut out ended up like blobs. But they were tasty blobs, so it’s alright. are you kidding me?? i love this! i’m gonna give it a shot, hollow out a little hole and then pump them full of home made butterscotch filling. Heck yeah! If it works out, please let us know and provide the recipe! I just found your blog through a link from someone elses blog that I also just found and I am super happy I clicked!!! All your recipes look great. I thought I had replied to this… but it isn’t on here. I’m sorry. I am sure you could make these the night before. I’ve made cinnamon sugar bread, cinnamon rolls and sticky buns all using the same method: after punching down the dough you can put it in the fridge then. With cinnamon rolls and stuff, I shape them first. Whatever you have time for. As long as you put the yeast sweet dough in the fridge before that last 30 minute rise, you will be fine. Now I want doughnuts…. mmmmmm…. Bought myself a doughnut pan on Amazon and love it! The recipe on the paper from the tray is a pretty good basic, easy to throw together recipe. I think I’ll be making up a batch this weekend, in fact. Would it be possible to add applesauce or apple cidar/juice for apple cinnamon donuts? I don’t think you could. The dough might not come together properly and unless using a concentrated apple flavoring like boiled cider, I don’t think you would taste it. Now there are cake donuts that are applesauce or apple cinnamon donuts. Those would work and I know they are out there. Whenever I see a yeast apple cinnamon donut, it was filled with an apple pie like mixture and then dipped in cinnamon and sugar. That sounds interesting…. filling these babies up with some apple pie filling with a pastry bag and dipping in cinnamon and sugar! My 10 year old son has been asking me to make doughnuts…..I didn’t want to make fried ones, so was glad to stumble upon your recipe. I look forward to trying it tomorrow!